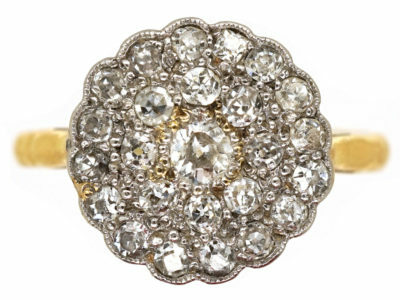 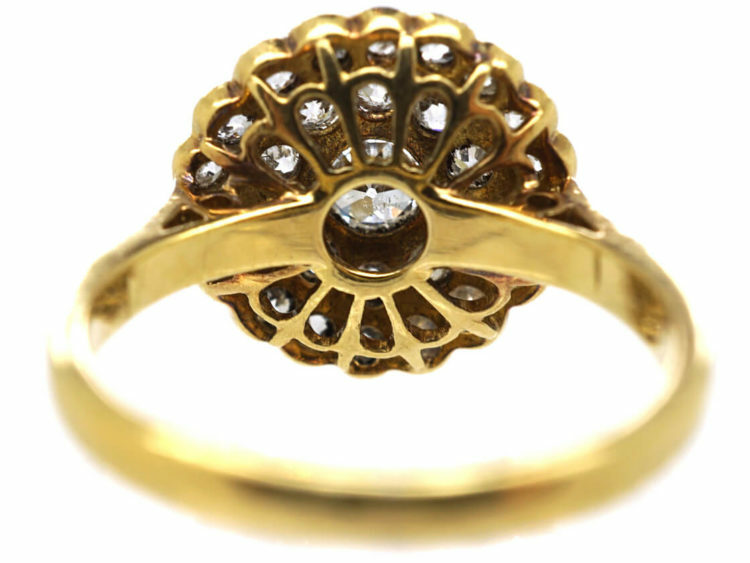 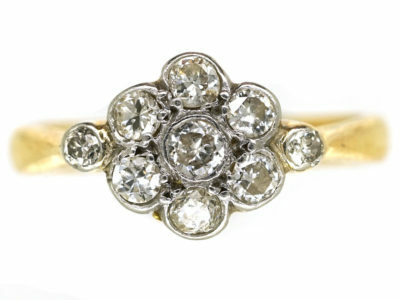 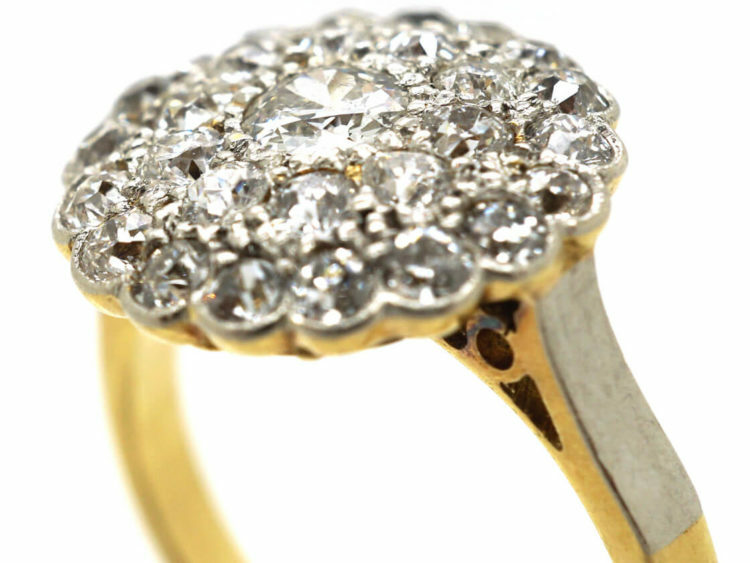 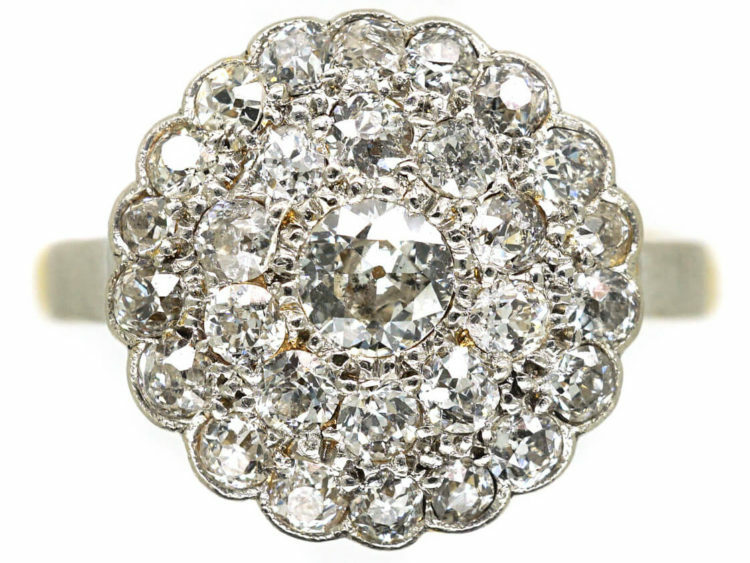 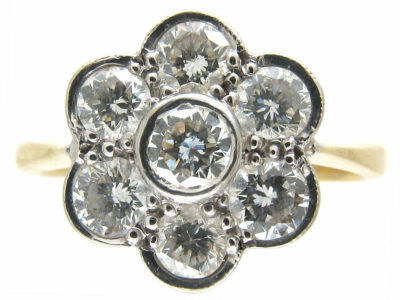 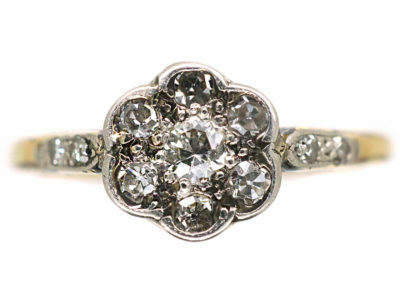 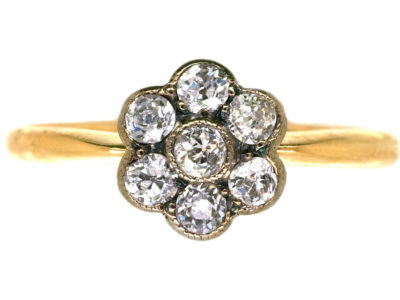 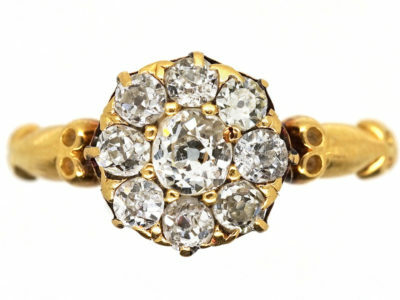 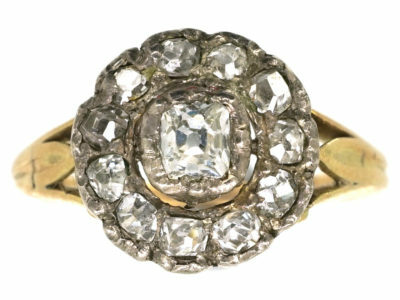 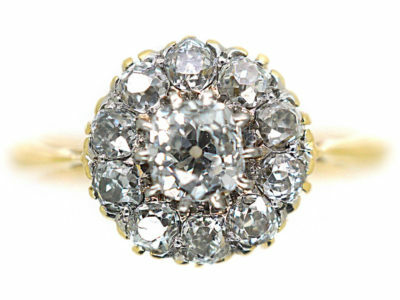 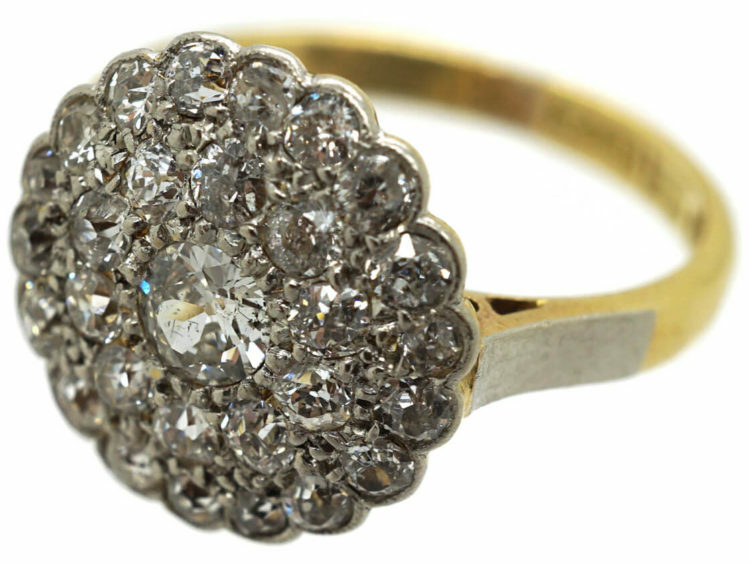 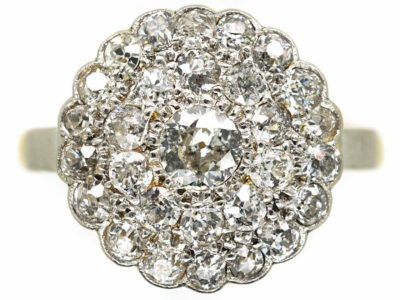 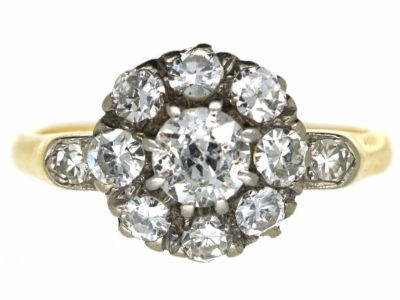 A really pretty diamond cluster ring that was made circa 1910-1920. 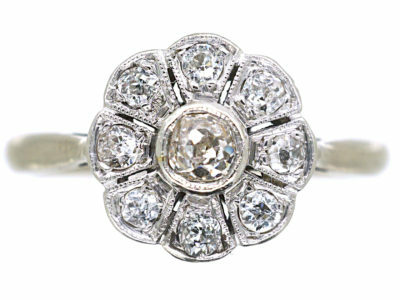 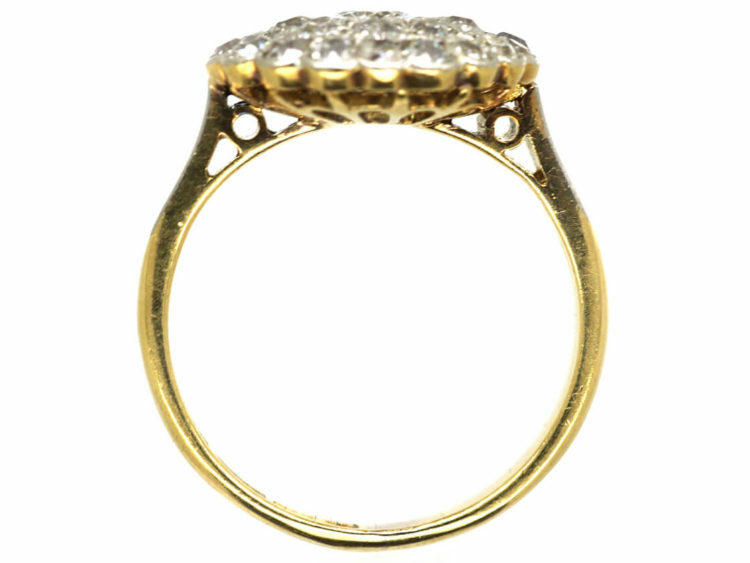 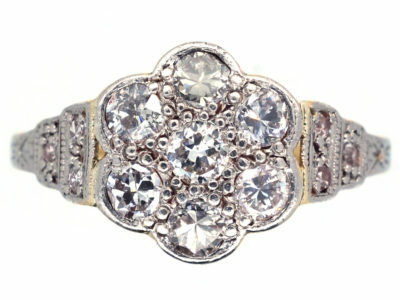 It has a scalloped edge containing a pave set of bright white well matched graded diamonds and sits low on the finger. 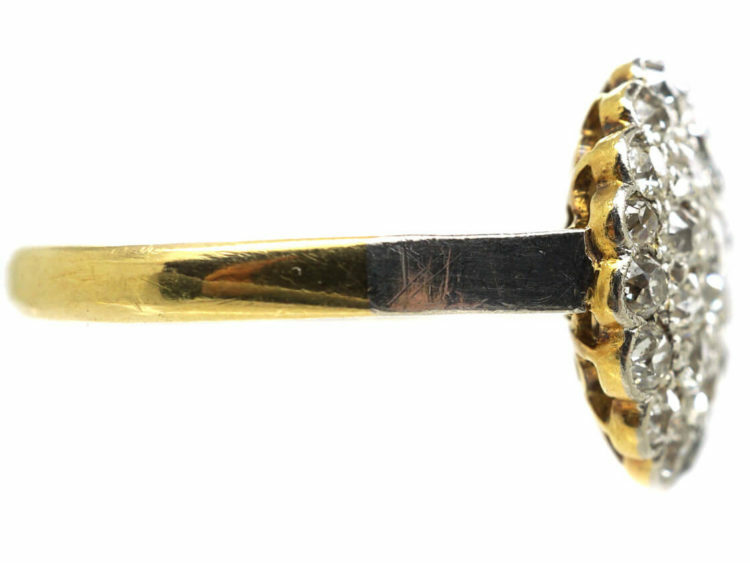 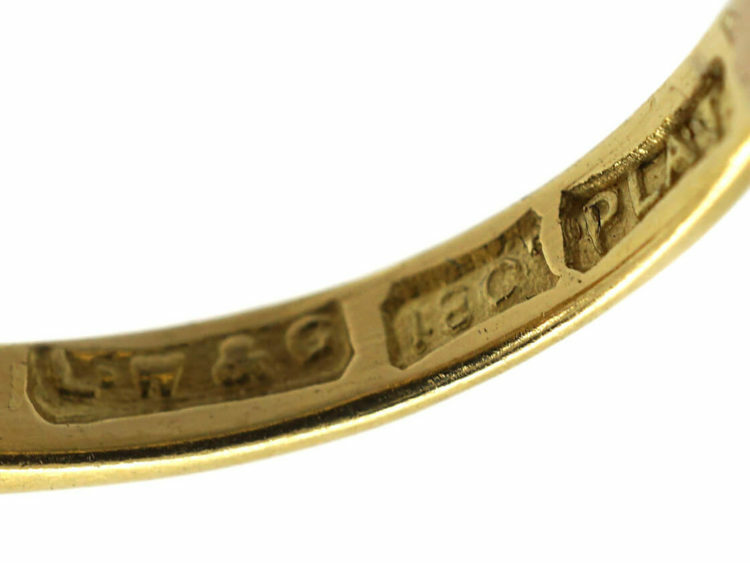 The top is platinum and the shank is 18ct yellow gold. 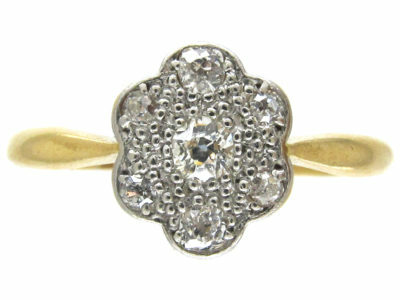 This style of ring is so easy to wear and this ring would make a wonderful sparkly engagement ring.